Sencha has put together an HTML 5 scorecard for Ice Cream Sandwich using the new Samsung Galaxy Nexus, and has found that ICS is a huge step forward for Android, but still lags behind iOS just a bit in features. In testing ICS, Sencha used a variety of tests including: Acid3, SunSpider, Modernizr, Animator and Touch Kitchen Sink. In most of the tests, ICS did extremely well, and represents a huge step forward compared to previous versions of Android. It got a perfect score on the Acid3 test, although as sometimes happens with that test, even though it got a perfect score, the Acid3 test image didn't render exactly right. Modernizr showed that the innards of the ICS browser also look good with full support for Front-face, geo-location, and CSS3. Devs can also build some really nice UI because there is support for animations, reflections, 2D/3D transformations and transitions. 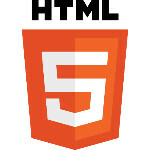 SunSpider also showed to be very fast, and ICS is the first browser that Sencha found which played HTML5 video inline. Where Android fell a bit short of iOS was in the APIs supported. There is no support for History Management, Web Workers, Web Sockets, and some input types. The most important of these is Web Sockets, which would allow for real-time web. Still, the ICS browser is a big improvement for Android, and should definitely allow developers to do some pretty cool stuff.